Black Friday is not something which I have ever taken part in as I normally work every Friday. 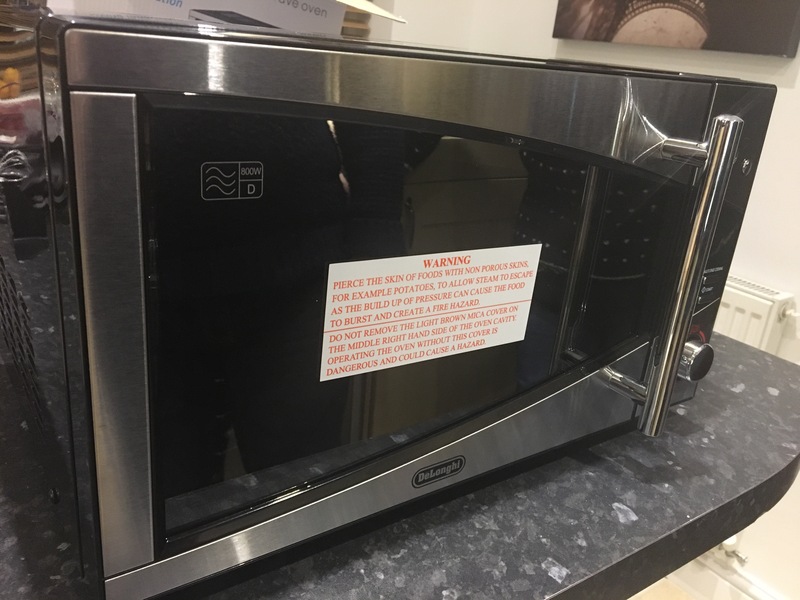 I ventured out to the Black Friday Sales in search of a microwave I saw advertised in the Daily Mail Online this morning. I don’t have much furniture yet for the flat, but as things seem to be moving along rather quickly it seemed like a good idea to go grab this microwave. 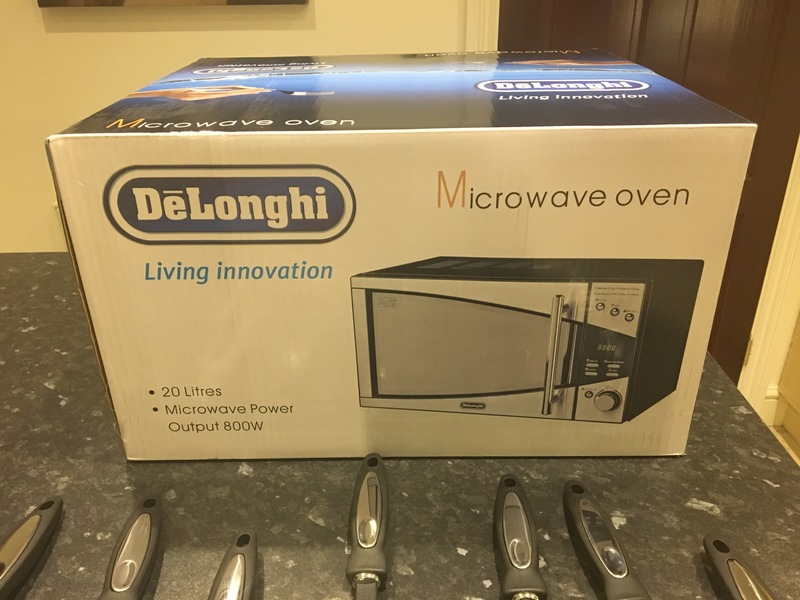 The microwave in question is a De’Longhi 800 Watt Stainless Steel Microwave, looks very shiny!! 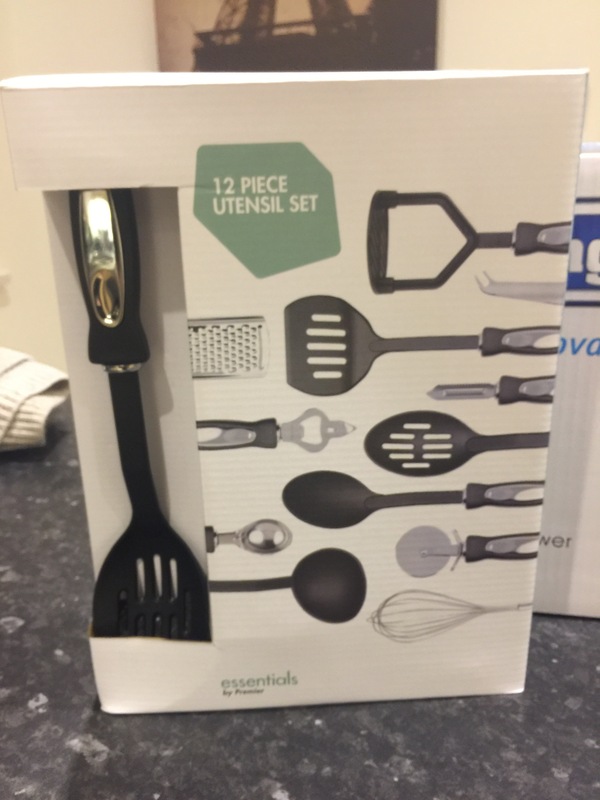 A sneaky trip into Robert Dyas resulted in the sneaky purchase of a 12 piece kitchen utensil set. So thank you Black Friday for nearly completing the furnishing of the kitchen! First experience of bargain shopping went quite well I think. It nice to know that when I get a moving date I won’t be searching around franticly for anything to furnish the flat. I’ve seen a lot of people complaining about Black Friday today but is it really doing any harm? So what if it has come from America or caused more traffic on the roads today? Some people really will complain about anything and everything. For people like me who have just bought their first home it was a much welcomed saving on something I needed anyway. A lot of things I have bought second hand, but when it comes to electrics I want these to be new so I know they are covered by warrenty and I won’t be encountering any hidden surprises which might blow my flat up! I didn’t find myself wrestling bargain microwaves out of the clutches of other shoppers so what is the drama? If you don’t like it don’t partake, no ones forcing you! Anyone who knows me will know that when I’m scared I have this unfortunate habit of breaking out into Christmas Songs as my coping mechanism. Unfortunately for those around me I am not gifted in the vocal department and resemble a poor little ally cat who has trod on a drawing pin when I attempt to sing. I also neglect to take into account the time of year. Back in June a few years ago two of my friends were subjected to this torture while they each had a hand crushed by me as a rather brash doctor stitched my head back together. Apparently I was the highlight of the nurses night that night, well I do aim to please. Luckily for me due to my amazing rendition of Deck the Halls with the lyrics ever so subtly changed to “Give the Blood” I managed to sacrifice a few tubes of blood to an amazing nurse tonight who actually managed to find a vein! Makes a lovely change to having every vein in my arm prodded and still refusing to cooperate! 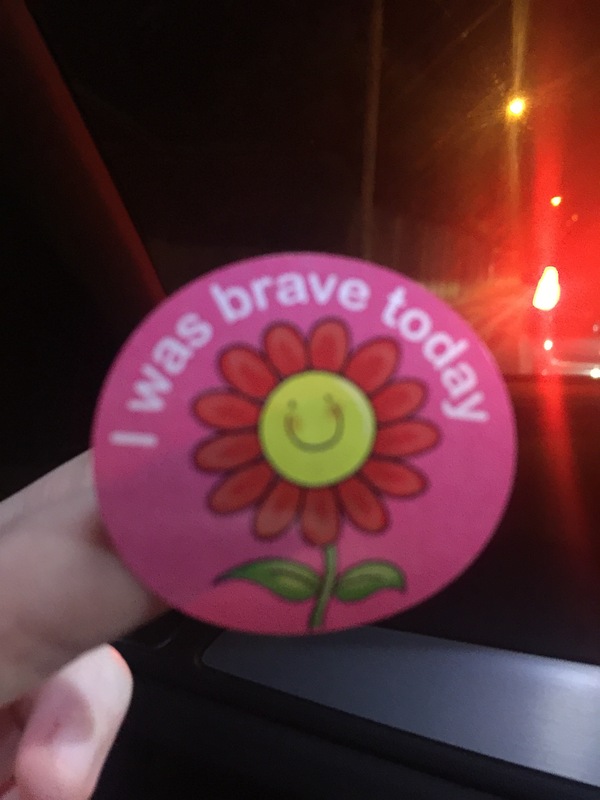 So thank you lovely nurse at the doctors’ surgery this evening who did a quacking job, I apologise for your ears, and thank you for my sticker. I do apologise for the pretty boring blog post tonight, but that was sadly my whole day! 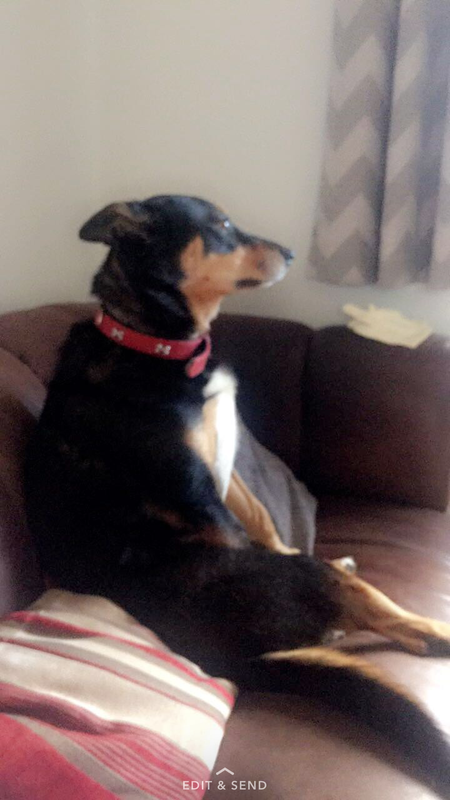 Here is a photo of my beautiful boy thinking he is a human in an attempt to make up for it. The absolute sweetheart has stayed with me all day to make sure I was ok. Never underestimate the love of a pet! 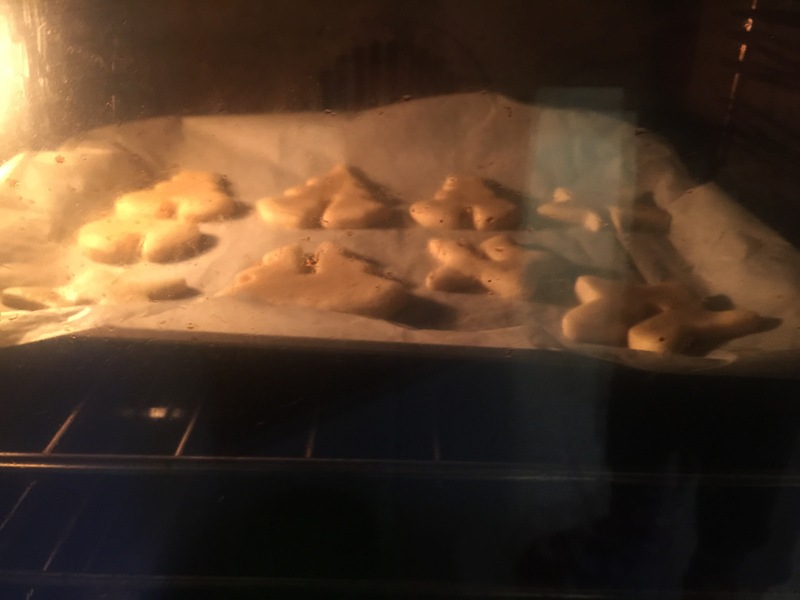 I decided to bake some cookies today. 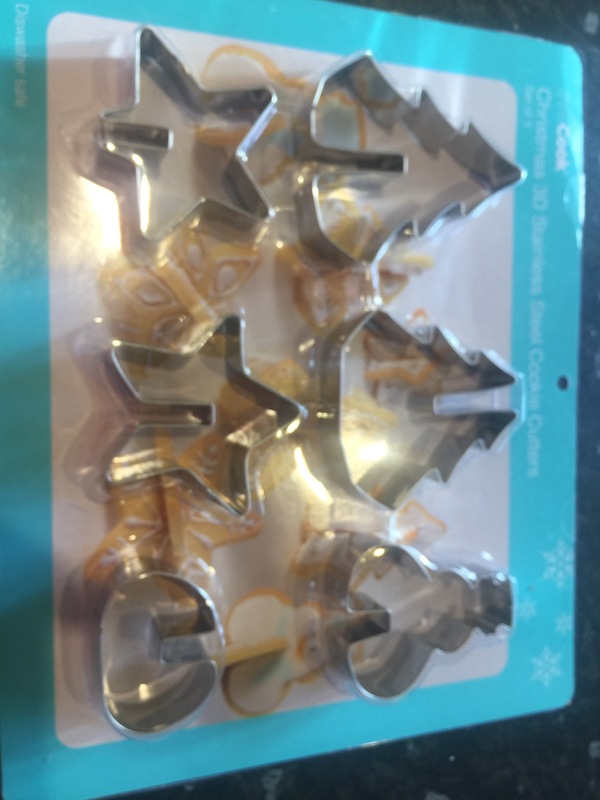 Unfortunately I also decided to try ProCook’s Christmas 3D Stainless Steel Cookie Cutters. Beat together the butter and sugar until creamy and add the Vanilla Extract. Beat in the eggs and then stir in the flour until you get a dough. 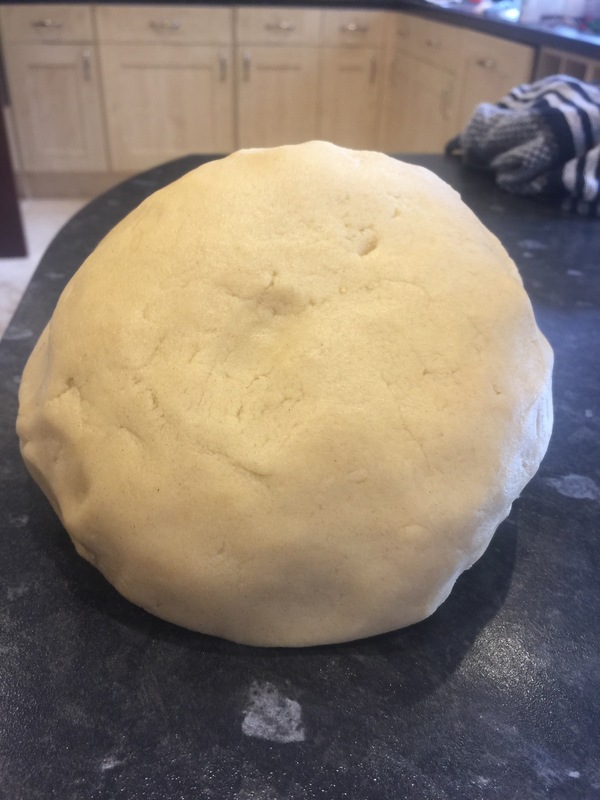 Kneed the dough and put into the fridge wrapped in clingfilm and leave for an hour. 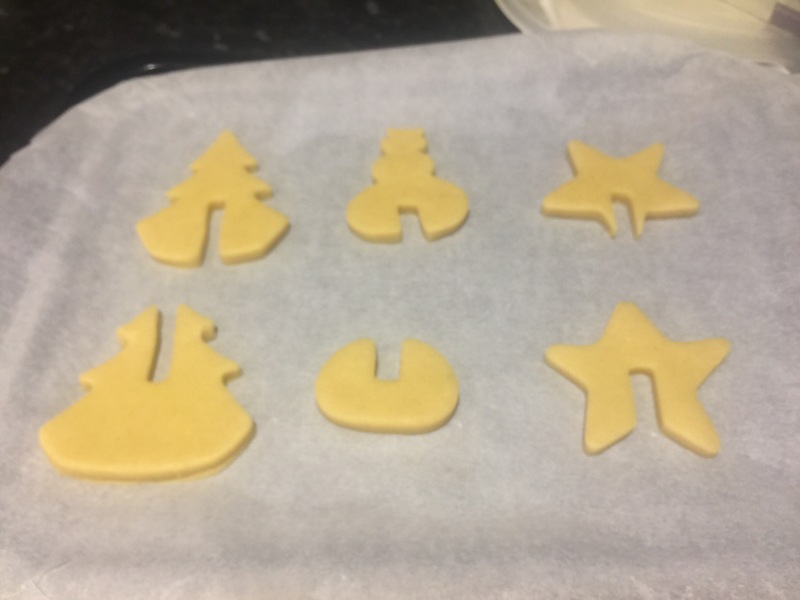 Roll out the dough and cut out the shapes needed, put on the baking tray and leave to chill for 30 mins in the fridge. Cook for 10 mins at 180 degrees. 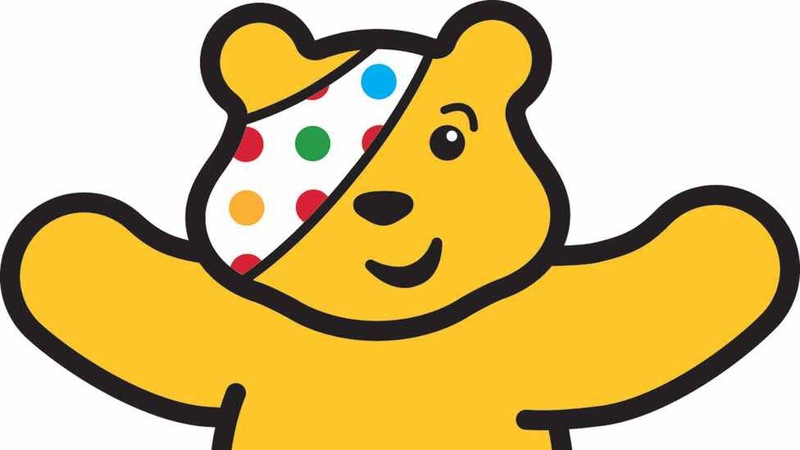 So that design was scrapped luckily before all the dough was used! You can’t beat classic round glace iced biscuits. I’m still at my parents and had none of my Cookie Cutters here so had to make do with a yorkshire pudding tin, pallet knife and a (clean) ruler. Still worked out better than ProCook! 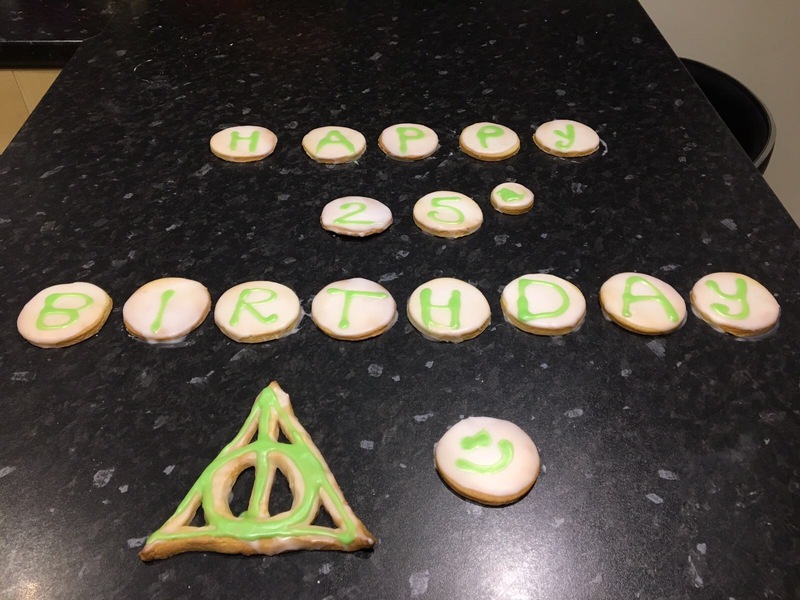 Why send a birthday card when you can send an edible one? Obviously being at my parents house sick and feeling sorry for myself means that those chocolate cravings are bound to crawl out at some point. Chocolate is the ultimate comfort food. Unfortunately for me all there was in the house in the way of chocolate was a tub of Cadbury’s Roses which had been stashed away for Christmas. Initially I thought I’d hit the jackpot, but apparently Roses are not what I remember! Definitely got smaller and do not compete with the Heros and Celebrations or even the Quality Streets! However if I could take the Hazlenut Whirl out of the Roses and put it with the Malteaser and Galaxy from the Celebrations. Add the Twirl, Dairy Milk, Wispa and Creme Egg Twisted from the Heros and the Purple One and Green One from the Quality Street I think that would make a really decent box of chocolates. Also if they’d bring back the Truffle and Topic in the celebrations my childhood Christmas would really be complete. How do people make that annual difficult decision which box to go with? Does anyone ever just get them all to eradicate the need to make that decision? Little box of each then put them all together? Now that has given me an idea. Instead of everyone going to the supermarket and purchasing their yearly tub of chocolates for Christmas there should be a Christmas Chocolate Tub/Tin Shop. A bit like M&M world, each of these sweets should be available in giant tubes and you can fill your Christmas Tub of Chocolates however you please. Of course this would involve all three confectionary companies getting on and collaborating in this but surly it’s worth it to prevent all those poor lonely unwanted chocolates (*cough* Toffees *cough*) lurking away in the bottom of the tin well into the next year as no one likes those ones? Now please excuse me while I go fill my tub up with the malteasers. 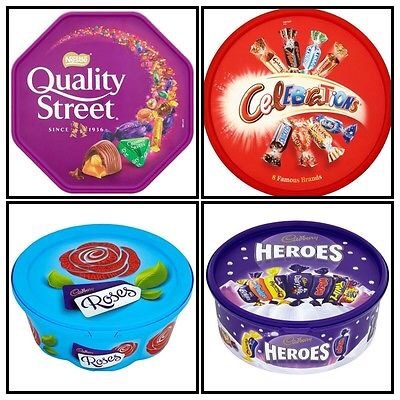 Thoughts and Opinions on the yearly struggle between the Roses, Celebrations, Quality Streets and Heros? After the doom and gloom of the previous post I felt it was also fair to share one of the better parts of the day. My favourite pair of boots are my Black Bailey Bow Ugg Boots. 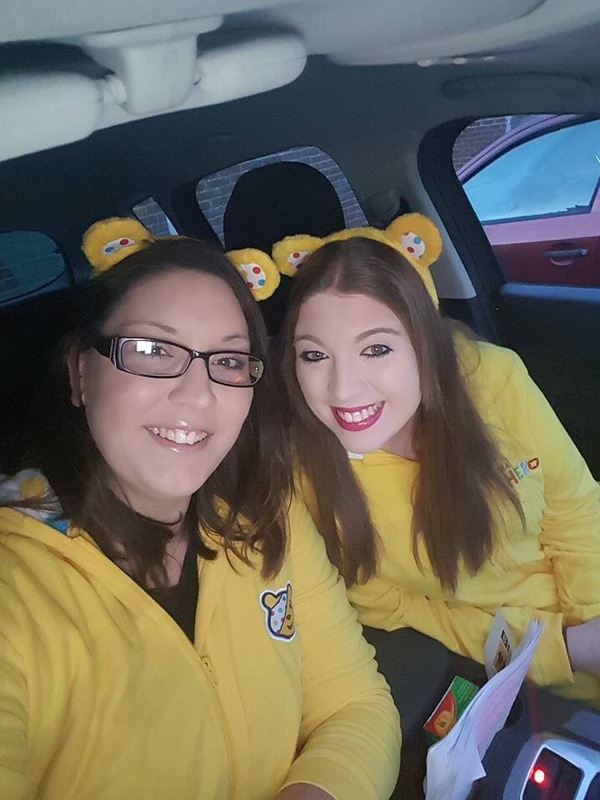 We were in our car on the way to Children In Need and I went to pull my boots up. Suddenly I was very confused as there were no bows on my shoes but then I realised that I wasn’t wearing my shoes! I had shoes on but they were not Bailey Bows and they definitely were not mine! I’m now panicking about who’s shoes I am wearing. I normally leave my boots out in the hallway as I hate wearing shoes indoors. My neighbours opposite also do the same so all of a sudden I am convinced I have stolen my neighbours shoes and am currently halfway round the M25 with them on my feet. I decide to ring my flatmate because by some coincidence she could have also left a pair of black boots outside the door? Surly it’s a million times better to be wearing my flatmate’s shoes than my neighbour’s? I would hate to have a reputation as a shoe thief! Luckily she answers and I franticly explain the predicament and am met with more hysterical laughter. Luckily for me she does own a pair of black Ugg-Style Boots without Bows which have somehow found themselves on my feet and I am no longer a shoe thief, just a shoe borrower!